These premium properties in North Dallas and Preston Hollow were listed for lease as of April 20, 2019. Click on the address for more information on each, including photos and a map of its location. For more information about any of these premium properties in North Dallas and Preston Hollow, or to schedule a showing, contact John Pritchett 214.234.0056, JPritchett@msn.com. ° This charming 2 bed 1 bath home resides in the desirable Park Groves neighborhood. Close to Garland HS. Updated interior and exterior. Kitchen features stainless steel appliances and a breakfast bar. Full size washer and dryer space in utility room off kitchen. Spacious back yard deck perfect for entertaining with additional huge covered patio. This is a one of kind property you will want to make your home! Won't last!!! Apply NOW!! ° Additional Info: Pets allowed, unfurnished, available 6/10, 1 covered parking space(s), Garland ISD. ° Listing Agent: Michael Slaughter, OmniKey Realty, LLC. ° Location! Preston Hollow area. Near private schools. 2 bedrooms, 1 bath. Open, upscale living space. Updated floors, cabinetry, plumbing and electrical fixtures, tankless water heater & ceiling fans. 2 large living areas, either of which could include dining area. Large detached garage. Covered deck and patio. Contemporary lateral slat design wood fence. Beautifully landscaped yard . Yard maintenance could be negotiated. Pets case by case. ° Listing Agent: Carolyn Harper, Harper Baur Real Estate Serv. ° Beautiful 3 bedroom 2 bath home with a study in the heart of desirable Frisco Grayhawk with walking trails, play areas and community pools. Cozy study can be 4th bedroom. Home features a split bedroom floor plan and a formal living and dining room. Spacious kitchen features lots of cabinets, a skylight, and a breakfast bar. Exemplary Frisco schools minutes away. Walking distance to parks. Great restaurants, shopping, and entertainment nearby. 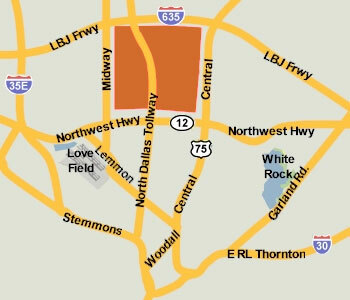 Strategic location near 423 and Dallas North Tollway. ° Additional Info: Pets allowed, unfurnished, no W/D connections, available now, 2 covered parking space(s), 1 fireplace(s), Frisco ISD. ° Less than a block from Preston Hollow Elementary you will find this cool Mid-Century Modern home. Vaulted ceilings in the living room with floor to ceiling windows and large brick fireplace. Two more living areas would be a perfect office area. Eat in kitchen with big windows, nice covered patio, and large backyard & side yard. Oversized 2 car garage and circle driveway. Short term lease available. ° Amazing Location in North Dallas on an exclusive street in the heart of the Preston Hollow area. Nice Hardwood floors throughout as well as new paint in most of house. Lots of closet space compared to similar properties. ° Open, Light, & Bright! Ultra hard to find 3bed 2.1 bath 2 car attached oversized rear entry garage---RECENTLY UPDATED duplex WITH CURB APPEAL! LARGE side+back yard with open patio off master suite. Real oak gleaming hardwoods in main living areas. Hard surface wood laminate in bedrooms. Tile & marble floors in kitchen and bath. Lots of closets+storage! Super convenient location on quiet street. Must see & READY FOR MOVE IN JUNE 6TH 2019. Tenant requires prior days notice to show. ° Additional Info: Pets allowed, unfurnished, available 6/5, 2 covered parking space(s), 1 fireplace(s), Dallas ISD. ° Beautiful Preston Hollow Ranch Style Home. Great Floorplan With Hardwoods Throughout. Updated Kitchen And Baths. Plantation Shutters. Ceiling Fans In Each Room For Warm Summers, And Large Stone Fireplace For Cool Winter Days And Nights. Very Large Deck Overlooks Huge Backyard. 2 Car Garage. Circle Drive Makes It Easy To Get In And Out. Rear car entry. ° Lovely Preston Hollow neighborhood. Location, location, location. Over half an acre at the end of the street. Very private. 1950's three bedroom, 2 bath home, detached 2 car garage. Central air and heat, hard wood floors. Close to private and public schools. House is very nice, but value is in the land. ° Additional Info: Pets allowed limit 3, unfurnished, available 5/15, 2 covered parking space(s), 1 fireplace(s), Dallas ISD. ° Listing Agent: Mary Anne Willits, Harper Baur Real Estate Serv. ° Interior walls to be painted prior to move in!! House & duct work just cleaned! This well maintained mid-century single story is located near the prestigious Preston Hollow area! Plenty of space - 3 beds - 2 baths - 2 living - 2 dining. Hardwood floors throughout, no carpet. Large windows for lots of natural light. Huge backyard with heated pool, deck and trees. Pool service, quarterly insect treatment, bi-annual HVAC service included w base rent. Great Location, minutes to I-75, I-635 and Dallas N Tollway. Excellent location in an established and mature neighborhood. You won't want to miss this opportunity! Pets considered on a case by case basis and 50% pet deposit is non-refundable. ° Additional Info: Pets allowed, unfurnished, W/D connections incl., available now, 2 covered parking space(s), 2 fireplace(s), Dallas ISD. ° Live in one of the most sought after neighborhood in Dallas, good place to call home, walk to upscale shopping and restaurants. Amazing back view, large living areas with fireplace, hardwood floors except in kitchen and Baths. Updated Kitchen and Baths. Abundance of built ins and storage. Floor Plan with great natural light. Meticulously Maintained. LED lighting and new AC Unit. Close to many private schools. Freshly painted, nice ranch style home. Close to 75, Tollway and 635 with easy access to airports. Close to Downtown Dallas and many hospitals. A 6 foot fence on south of the house and a gate will be installed, before the start of lease. Backyard fenced in for pets. ° Convenience loaction to Northpark,LBJ, Central. between Preston and Hillcrest. Ranch staye house with modern updated. Large corner lot with circular drive. Fresh new paint with updated. ° Additional Info: Pets allowed limit 1, furnished, W/D connections incl., available now, 2 covered parking space(s), 2 fireplace(s), Dallas ISD. ° Additional Info: Pets allowed, unfurnished, onsite W/D connections, available 6/1, 2 covered parking space(s), 1 fireplace(s), Dallas ISD. ° Want a beautiful home environment and private garden while you are leasing. Welcome home ! This home was remodeled a few years ago and Master bedroom suite addition was made at the time. New Roof, flooring, plumbing, electric, kitchen with all new appliances your heart desire, state of the art bathrooms, custom build-in closets in every room and bathrooms. Wood flooring throughout the home and new windows. Low utility bills. Circular driveway in front of home. Close to all Private schools and Galleria Shopping Mall. ° Additional Info: Pets allowed limit 2, unfurnished, available 4/30, 2 covered parking space(s), 1 fireplace(s), Dallas ISD. ° Ultra-charming three bedroom home in The Meadows. Open kitchen concept with granite counters and stainless appliances. Updated master bath with travertine and frameless glass shower is a true retreat. Master closet could be considered 'Best in Class.' Spacious backyard with towering oak tree creating lots of shade. Floor plan offers three bedrooms PLUS a dedicated office or study. ° Additional Info: Pets allowed, unfurnished, available 5/1, 2 covered parking space(s), 1 fireplace(s), Dallas ISD. ° Updated 3 bedroom in Preston Hollow area with large backyard, play area and screened in porch is move in ready. 2 Living areas and kitchen with a breakfast area and granite countertops and stainless steel appliances. Centrally located by shopping and hike and bike trails. The lease is only a 6 month term. ° Additional Info: Pets allowed limit 2, unfurnished, 2 covered parking space(s), 2 fireplace(s), Dallas ISD. ° Listing Agent: Christy Berry, Compass RE Texas, LLC. ° Lovely traditional home in Preston Hollow area. This 3 bedroom, 3.1 bath, sits on an oversized lot. Boasting lots of natural like, wood floors, spacious living areas with fireplaces. Substantial kitchen with granite counter tops, large island, and stainless steel appliances. Open covered patio, pool with water fall, outdoor living area with stainless steel grill, perfect for entertaining. ° Additional Info: Pets allowed limit 3, unfurnished, available 5/31, 2 covered parking space(s), 2 fireplace(s), Dallas ISD. ° Stately single family attached home with stunning brick work & landscaping! This home showcases a wonderful floor plan-great for entertaining-featuring hand-scraped hardwoods, open living room with cast-stone fireplace & a formal dining room. Gourmet kitchen boasts granite counters, elite appliances & huge walk-in pantry. The study affords a ton of storage & display capabilities. The master suite with a vaulted ceiling has a large bath with separate travertine shower, soaking tub and his & hers vanities and closets! Master opens into the spacious family room! Back patio is a true oasis with covered patio area & deck surrounding the palatial fireplace. Completing the space is a built-in Green Egg grill-smoker. ° GORGEOUS DOMINION HOME HAS 4 BEDROOMS, 2.5 BATHROOMS, STUDY, GAME ROOM. SPACIOUS FAMILY ROOM WITH GOURMET CHEF'S KITCHEN WITH WATERFALL ISLAND WITH GRANITE COUNTERS, BUILT-IN SS APPLIANCES, UPGRADED CABINETRY. BEAUTIFUL MASTER SUITE, WALK-IN SHOWER, RELAXING SPA TUB, DOUBLE VANITIES! EVEN MORE DESIGNER FINISHES THROUGHOUT WITH HANDSCRAPED HARDWOOD FLOORS,. DOWNSTAIRS OFFICE CAN CONVERT TO 5TH BEDROOM. ENJOY GREAT COMMUNITY POOL, PARK, CLOSE TO HWY 161, HWY 114 AND HWY 183 WITHIN MINUTES REACH.AVAILABLE TO MOVE IN BY JUNE 1ST. ° Additional Info: Pets allowed limit 1, unfurnished, W/D connections incl., available 6/1, 2 covered parking space(s), 1 fireplace(s), Irving ISD. ° Perfect 4 bedroom home for you and your family! Great neighborhood, south of LBJ. Convenient to shopping, highways, business districts and private schools. Large rooms, open and airy. Lots of storage and built-ins. Big backyard with built-in bike path for the kids. ° Large home in sought after Dallas neighborhood with a newly updated kitchen and bathrooms. Home has an excellent layout with 4 bedrooms and 3.5 bathrooms. Three bedrooms and two baths are upstairs, and the master with attached bathroom and the .5 bath are downstairs. An office with built-in cabinetry and fireplace over looking the backyard. Plenty of storage space and a three car garage. Large windows throughout and a vaulted roof in the living room. Situated on a large lot among very nice homes. Lawn service is included. This home is a must see!! ° Additional Info: Pets allowed limit 1, unfurnished, 3 covered parking space(s), 1 fireplace(s), Dallas ISD. ° Beautiful single story house with many recently new updates, close to Hockaday and all other private school. The entire house has hardwood floor and plantation shutters. Master suite has two closets with newly upgraded bathroom with separated tub and large shower. Glorious kitchen with stainless appliances and granite countertops. This home features 2 car garage, large backyard, covered patio, views of the backyard from most of the rooms. Great house, great location!! ° Lovely 4 bed 3 bath home in North Dallas, close to tollway and 635. Large open kitchen and living room, granite countertops, stove, oven, dishwasher, refrigerator. Formal dining room, breakfast area, large laundry room. Enclosed sun room with great view of the pool. Master bedroom opens up to patio, updated master bath. Good size pool and large backyard area. ° Updates galore in this highly sought after neighborhood, just steps from St. Rita and Jesuit! Beautiful updates include new paint, granite counters, new stainless steel appliances, upgraded bathrooms, and oil rubbed bronze fixtures. Brand new refrigerator and wine cooler included! Spacious floor plan and plenty of parking with a circle driveway, and long driveway that leads into the two-car garage. Centrally located close to all major highways and ready for move-in! ° Additional Info: Pets allowed limit 2, unfurnished, available now, 2 covered parking space(s), 1 fireplace(s), Dallas ISD. ° THIS SPACIOUS HOME IN PRESTIGIOUS 12500 PRESTON HAS 4.5 BATHS, HUGE BREAKFAST AREA, STUDY, TWO PATIOS AND TWO CAR GARAGE. NEAR THE COPPER FITNESS CENTER AND IT BOASTS A POOL, TENNIS COURTS, AND CABANA. PETS ALLOWED WITH RESTRICTIONS. ° Additional Info: Pets allowed limit 1, unfurnished, W/D connections incl., available 7/1, 2 covered parking space(s), 1 fireplace(s), Dallas ISD. ° Additional Info: Pets allowed limit 4, unfurnished, W/D connections incl., available now, 2 covered parking space(s), 1 fireplace(s), Dallas ISD. ° Fantastic updated Mid-Century Modern in great location! Amazing back yard with beautiful pool, outdoor kitchen, seating for 20 people around the gas fire pit. Oversized lot, large living areas, huge finished out storage area above the garage, sprinkler system, thermador appliances in the kitchen, Upgraded bathrooms, new hardwoods,& more! Separate dog run on the South side of the house. ° Modern construction Single Family Attached home with gourmet kitchen, stainless steel appliances, granite counters & island that opens to Living Room, Dining & Breakfast area. All living areas filled with lots of windows & natural light. Downstairs includes Master Suite with spa like bath and huge closet & private study. Upstairs has 3 bedrooms with 3 full baths & large game room with wet bar! Covered patio & private yard complete this home! PHOTOS ARE DIFFERENT HOME WITH SAME FLOOR PLAN & FINISH OUT BY SAME BUILDER! ° The epitome of modern luxury in the heart of Dallas, with no expense spared in upgrading this new construction home, elevated with designer touches and finishes from top to bottom. Expansive corner lot with herringbone laid patio and pergola, perfect for family living, children, pets and elegant entertaining. Custom blinds and draperies, wall coverings and grasscloth, high-end fixtures and finishes at every turn. Energy efficient with solar panels, foam insulation and smart thermostats. Custom Elfa closets and garage organization. All designer furnishings and art work available for purchase or lease. HOA covers all yard maintenance. ° Additional Info: Pets allowed, unfurnished, 0 covered parking space(s), 2 fireplace(s), Dallas ISD. ° Location, location, location!!! Beautiful new home built in 2019 at University Place - a new community right next to UT Dallas! Plano ISD. Easy access to Hwy 190, 75, 635, Tollway, 121 and Legacy West. Closed to shopping, dining and amenities. Great open floor plan with high ceiling. Beautiful nail down wood floor in most area of first floor. Modern kitchen has Stainless Steel Appliances, Gas Cook Top, Granite Counter Top, Pendent Lights, Built-In Oven and Microwave. Master suite with a large spa-like bath, guest bedroom with a full shower bathroom on the first floor. Game room, media room and three bedrooms and two full baths on the second floor. ° Additional Info: Pets allowed, unfurnished, onsite W/D connections, available now, 2 covered parking space(s), 1 fireplace(s), Plano ISD. ° 4 or 5 Bedroom VERSATILE FLOOR PLAN WITH BRIGHT CERAMIC TILE GARDEN ROOM VIEWS BACK YARD WITH SEPARATE IRON GATED POOL AND PLAY AREA! NO CARPETS! OWNER SAYS ALLERGY FREEWITH WOOD, CERAMIC, AND TRAVERTINE TILE FLOORS!ELECTRONIC GATE TO COVERED REAR PARKING. SEPARATE BREAKFAST ROOM WITH BUILT IN HUTCH AND KITCHEN WITH GRANITE COUNTERS!DE-HUMIDIFIERS,REPLACED AIR DUCTS,SPECIAL AIR FILTERS.PLAYGYM FORT! within the ERUV. Currently tenant occupied until end of May. Tenant to pay for yard care and security system activation and for pool service. Home warranty coverage with service call fee paid by tenant. House will be delivered in excellent condition upon move-out of current fine and cooperative tenants. ° Additional Info: No pets allowed, unfurnished, available 7/1, 2 covered parking space(s), 2 fireplace(s), Dallas ISD. ° Beautiful modern masterpiece built by Geoffrey Grant Custom Homes. High-end designer finishes throughout, no detail was spared. Gorgeous chef's kitchen with European Bulthaup kitchen cabinets, Viking Professional Series dual ovens, refrigerators, microwaves, warming ovens, and Premium Series dual dishwashers. Anne Saks tile in bathrooms, maple floors throughout, multi-head European walk-in shower in master. Sixth bedroom used as a playroom downstairs. Beverage centers in both master and media room. Too many details to list! ° Additional Info: Pets allowed limit 1, unfurnished, W/D connections incl., 3 covered parking space(s), 3 fireplace(s), Dallas ISD. ° Magnificent residence centrally located with easy access to all Dallas area amenities. This home features three kitchens, tennis court, gym, rooftop deck, multiple balconies, wine room, gated entry, eight car garage, heated driveway, elevator and resort style pool. Master suite features a two story master closet, breakfast bar and balcony overlooking the serene grounds. ° Additional Info: Pets allowed limit 1, unfurnished, W/D connections incl., available now, 8 covered parking space(s), Dallas ISD.